The ZED-R16 is a superbly equipped console with all the crucial parts of the recording process in one box. The best performing preamp in Allen & Heath’s entire range is packaged with a high quality analogue to Firewire interface and the most extensive EQ on any mixer at this price point (or even twice the price!). An analogue channel strip so well featured, which sounds this good, is a real find at this level. 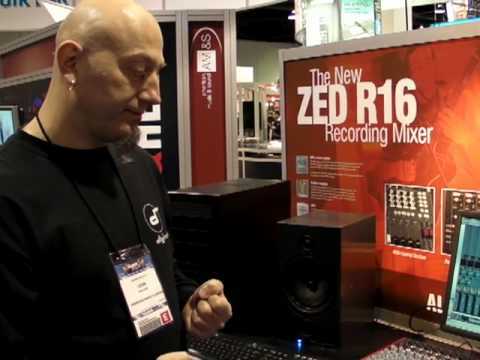 In addition to multi-track recording, the ZED-R16 allows mixing down in analogue, then recording back into the computer in digital. The story doesn’t stop here however – ZED-R16 can be a versatile live FOH mixer too. In this mode, its 4 aux buses become foldback feeds and FX sends, and the main XLR outputs feed the PA system. 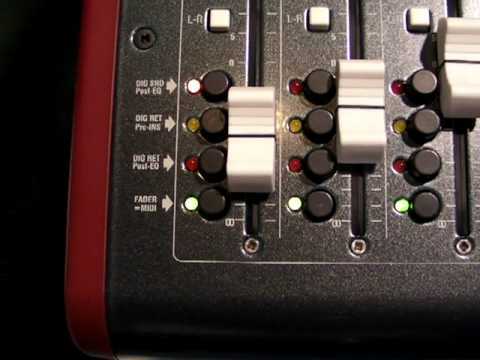 Recording the live gig is straightforward; the record feed signal can be easily assigned using the four buttons next to the faders. The ZED-R16 has been designed using individual vertically mounted circuit boards with each rotary control fixed with a metal nut to the front panel – making a much more robust product that will resist damage and give years of reliable use. ZED-R16 also has professional 60mm faders for ultimate control over your levels. Includes setup notes, template project and XML file. Includes setup notes and template projects. Includes setup notes, template project and Bome's MIDI Translator templates for Windows and Mac. Includes setup notes and template project. This product contains free and open source software. For licensing information please click here. DAW Control allows a ZED-R16 mixer to control a DAW using the popular HUI protocol. For further information on setting up and using DAW Control you can download the DAW Control Setup Notes document. V1.60 introduces support for SQ, plus a MIDI Thru map and dLive support for the Mac version (previously on Windows only).